Order these styles as seen here, or bring in your own reference photos and ideas on what kind of era specific suit your heart desires! Our consultants will let you know if we are able to recreate it. For examples of how our clients have customized these designs, please take a look at our Deluxe Gallery. Some of our styles simply take a bit more time and care to craft for you. We happen to love this! From the length of your initial consultation to the extra work our tailors put in, these suits take extra finesse, and the effort is well worth it! From the charismatic Nick Cave, to the subtle (but specific) mod-style of the Carnaby, if you can dream it, we can likely achieve it. Get inspired by our collection of designs below shown above, or bring in some references of your own, and our consultants will help you create something totally new! Whether your personal style is more Starman, Baron Munchausen, Wild Child, Bogie, or Dandy in the Underworld, we have you covered. Are you a connoisseur of timeless sartorial styles? Then these deluxe details are for you! Everything is included in our deluxe tier of suits, or can be made available as a-la-cart additions to classic tier suits. We could never stop anyone from adding snazzy buttons or a charming monogram to their order! Gain access to rare specialty fabrics, sourced from anywhere in the world, just for you. Upgrade your lovely matching lining to any one of our hundreds of spectacular patterns and color options. Select specialty buttons made from horn, metal, wood, abalone shell, mother of pearl, and more! Experience the luxury of a full floating canvas. A wedding date, initials, or perhaps your favorite quote? We can add a monogram to any Duchess garment! 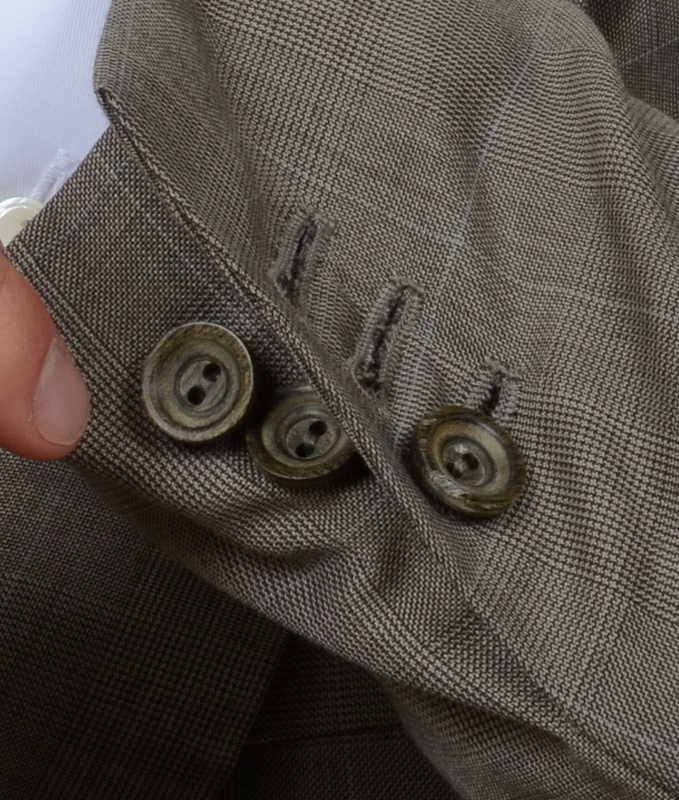 Might we suggest a vibrant boutonniere thread or a bright last buttonhole on your cuff? Functional Cuffs or "Surgeon's Cuffs"
May we tempt you with a subtle, yet unmistakable mark of one in the sartorial know? Named for military surgeons who had to unbutton and roll up their sleeves to work in the field, functioning cuffs are perfect for the most discerning style enthusiast. Why not leave the last one open?